I am not the first to discover Bar Luce. Designed by filmmaker Wes Anderson, it opened in 2015 and I did not learn of its existence until 2017, which is a lifetime in the world of the hip and the trendy. 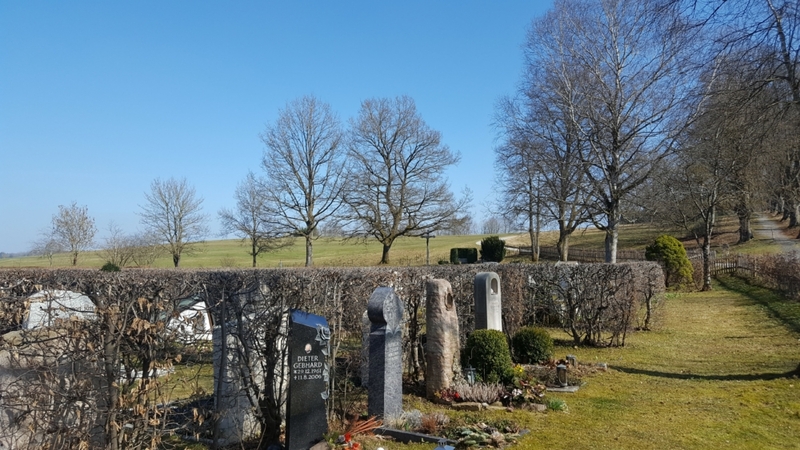 It sits on the outskirts of Milan, crowded with flawlessly beautiful and bored looking women and men who have already grown tired of things you have never heard of. By the time I went, it was old news, I suppose. But it was new to me. I have simultaneous loved Anderson’s work and resented it; it resonates with me in a way that feels like I’m somehow being manipulated. When The Royal Tenenbaums came out, my brother called me and we had one of those sparse exchanges that can only take place between people who have known each other their entire lives. He asked if I had seen it. Yes, I told him. 2009. 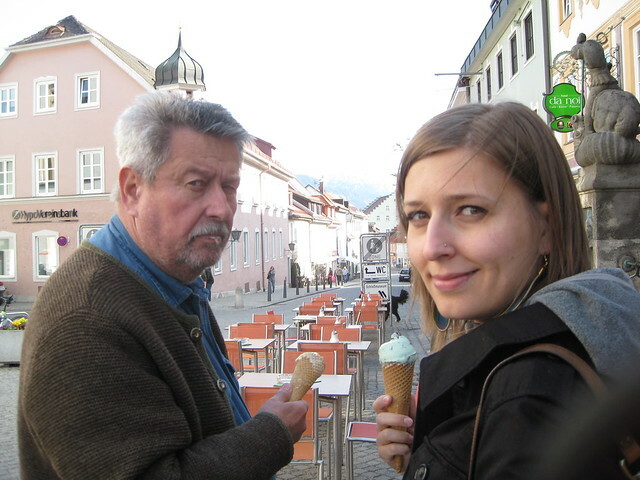 One of my all-time favorite photos of my father, in which he manages to look pissed off while eating ice cream. 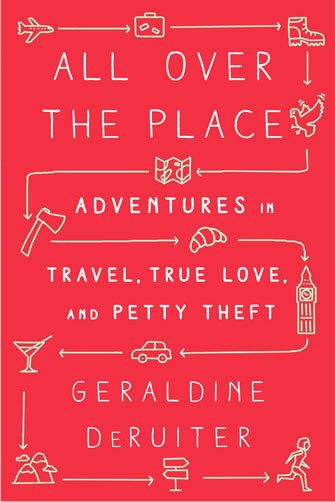 Therein lies Anderson’s brilliance – he creates characters who are often miserable and yet they are fine. Things are simultaneously bad and okay. That is a world I know. I was angry that Anderson could pinpoint me – and so many others – so well. I’d like to think I was less predictable than that. My response was reactionary – I tried to resist his work. As years of Halloween costumes attest, this endeavor has not been successful. 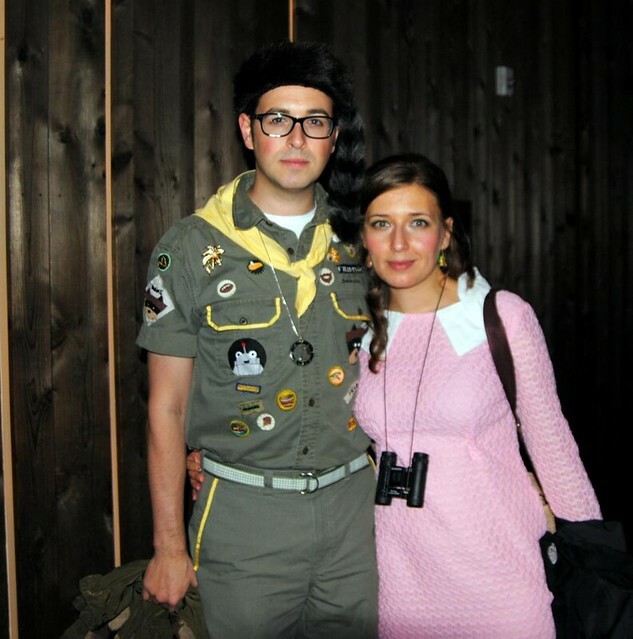 Sam and Suzy from Moonrise Kingdom. 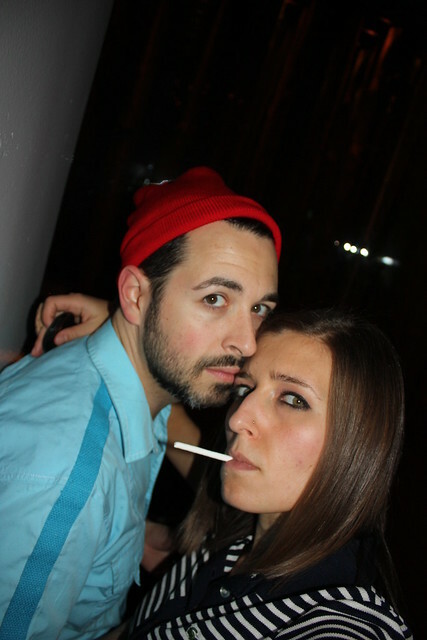 Steve Zissou and Margot Tenenbaum. Rand tried to keep our visit a surprise, but I eventually learned of it. 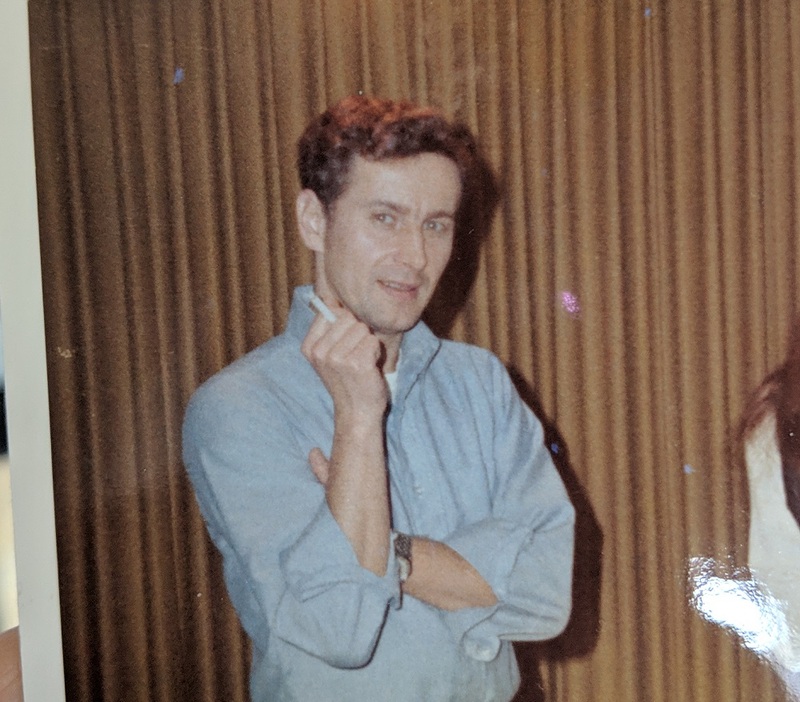 He asked me if I want to see photos beforehand, but in the same way that I refuse to watch trailers for Anderson’s films before they are released, I shook my head. “I want to see it for the first time in person,” I told him. A small part of me didn’t want to go, scared it wouldn’t live up to my expectations. Or that it would, and that the world then would seem dull by comparison. As we walked in I imagined that I could see us from afar, moving in-slow motion as music played. My biggest grievance about the worlds Wes Anderson created was that they existed only on the screen, and I could never step into them. Even when I paid a pilgrimage to the house from The Royal Tenenbaums (up in Harlem), I could only stand at the curb and stare, the delta between his work and reality feeling bigger than it ever had. I thought Bar Luce would change that. Alas. Every piece of it has been crafted by Anderson. It is perfect execution of his vision, but it is not perfect – his work never is. Pants hemmed too short, rusted out cars, a penciled in mustache – there is always something intentionally amiss. Above a sea of terrazzo, there are islands of Formica the color of Easter eggs. The shelves behind the bar and the glass dessert cases look like they’re filled with props. But the cake was real, and I couldn’t really ask for more than that. The cafe was empty when we arrived, and the staff looked like they were suffering from a terminal case of ennui. We were unaware of the rush of people that would soon come through the doors, and so the sheer number of waiters and baristas looked excessive. We sat down and ordered. I scanned the menu for a butterscotch sundae, eager to placing my order in heavy, bored Italian, but there wasn’t one. Instead, I got The Royal, a sandwich made with culatello, and literally nothing else. This is the cafe’s signature cake – vanilla pan de spagna with a light chocolate cream and covered in pink fondant. At some point I demanded that we abandon our lives back in Seattle and move to Milan and, specifically, to Bar Luce. “We can’t; we just bought a house,” Rand said. He was right. But for a few fleeting moments, I was excessively happy, in a way that Wes Anderson’s characters never are. 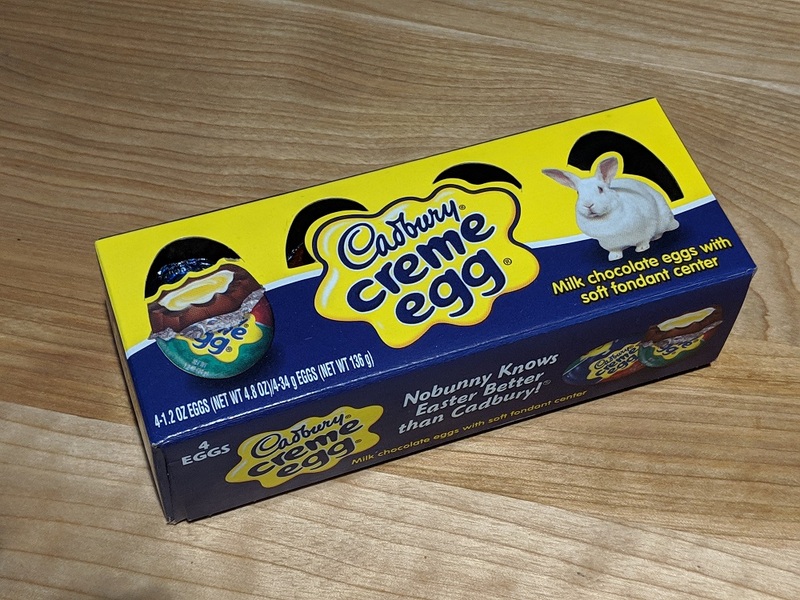 I endeavored to hide my delight from everyone because it felt thematically off. Once again, I was not successful. Along the back wall of the cafe sits a jukebox that mostly had Italian songs from the 1950s and 60s. It had a bunch of Rita Pavone, but no tracks that I was familiar with. So the songs were obscure even if you were familiar with the obscure genre. Next to the jukebox was a pair of pinball machines. Rand got up to play one of them, and came back to the table, his eyes wide. “It only takes lira,” he said. This pinball machines features Jason Schwartzman. The other one had Bill Murray on it. Because of course they do. At times it became hard to shake a feeling that this wasn’t a cafe designed by Wes Anderson, but rather what fans imagine a cafe designed by Wes Anderson would look like. It gave me everything I wanted and more, right down to the meticulously designed bathrooms. But in doing so, it almost felt as though it bordered on parody. In Shakespeare’s Cymbeline, which is often thought to be the bard poking fun at his own tropes, every single Shakespearean cliche is thrown at the audience: lost princesses disguising themselves as boys, buffoonish villains, an exodus into the forest. It’s an absolutely ridiculous play because it is so over-the-top Shakespearean. Bar Luce had that same sort of feel. It feels like almost too much from a director who plays in subtlety and nuance (right up until somebody snaps and crashes their car into the house). Maybe that’s the problem. Bare Luce exists. And so it can never truly be a part of Wes Anderson’s world because it is a part of ours. We have cell phones and credit cards and top 40 songs that we all hate but still know the lyrics to. We do not walk in slow-motion. Alec Baldwin does not narrate our story. 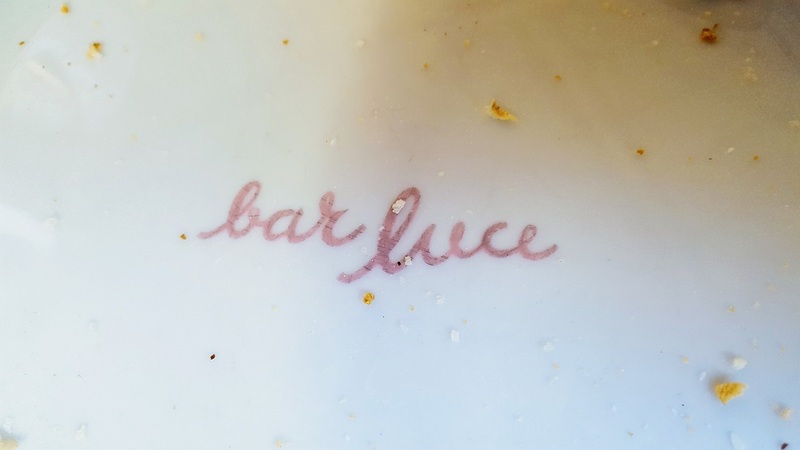 I say this not to disparage Bar Luce – I loved it, and our visit. But as a devout Wes Anderson fan, it brought up a bit of an existential crisis: I’d always wanted to step into Anderson’s cinematic universe, not realizing that part of the magic lay in the fact that I couldn’t.